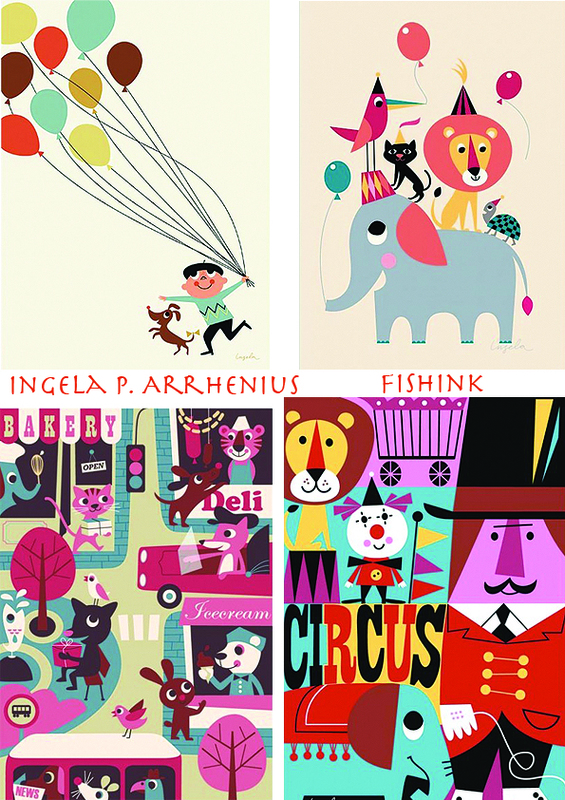 Having graduated in graphic design from SOC Berghs in Stockholm, Ingela P Arrhenius subsequently worked as a freelance illustrator. 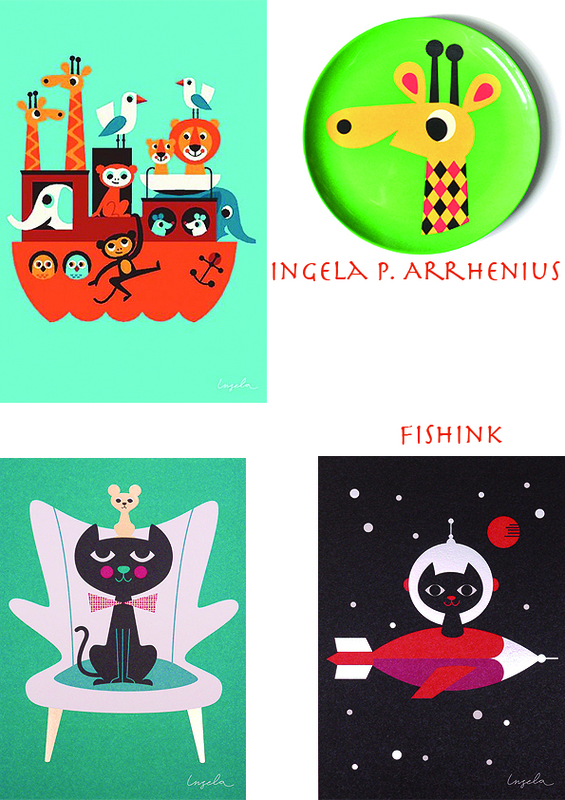 She has a love of things that are simply and beautifully designed with a feel of the fifties. 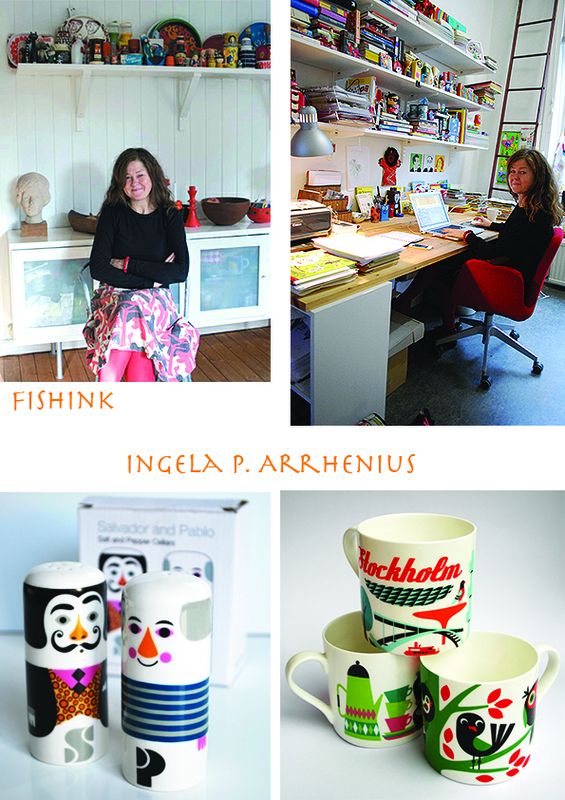 When I contacted Ingela to ask whether she would like to be included on Fishink Blog, she not only said that she would be honoured, but also that she knew of my blog and found it to be ‘very inspirational’. I explained that the honour would be all mine and I’m sure, looking at her amazing work, you’ll soon understand why. 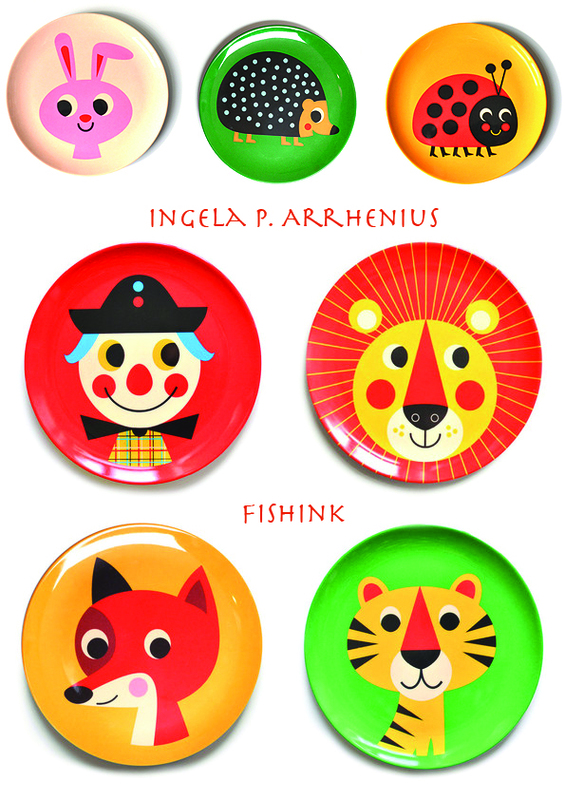 There is a great range of colourful children’s plates here on the Omm Design site and some cool characters in cards on the Lagom Design site. On talking about living in Sweden she says ” I think that you are influenced by Scandinavian simplicity if you grow up here. When I look at a contemporary illustration or design, I can always tell, before seeing the name, if it’s Scandinavian or not. I can´t define exactly what it is, but there’s something in the lines and simplicity that defines it. 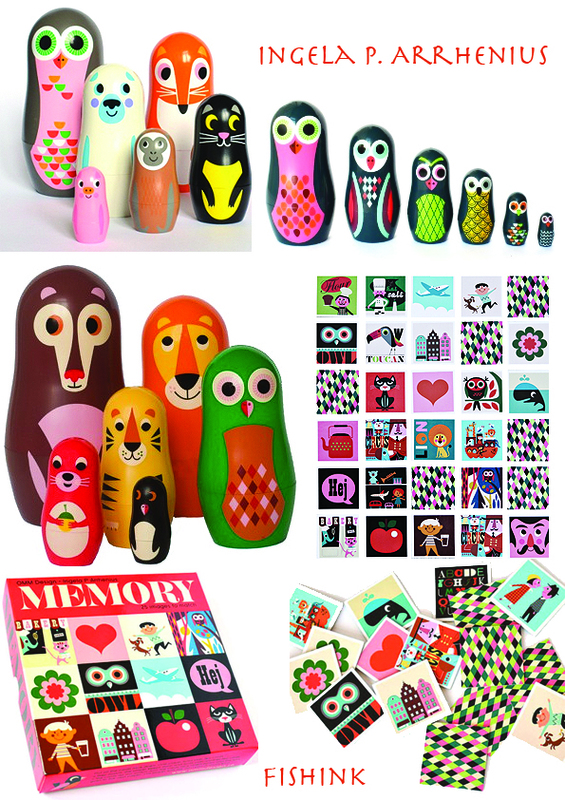 I love both the country side and the city, I need both” I love these animal nesting dolls and the revamped Galt-style memory game. 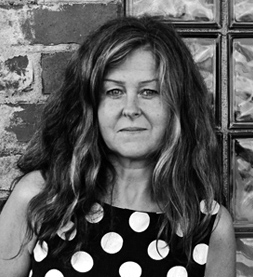 Ingela promotes her work through Agent Molly in Sweden and Pepper Cookies here in the UK. I would love to collaborate with her one day. 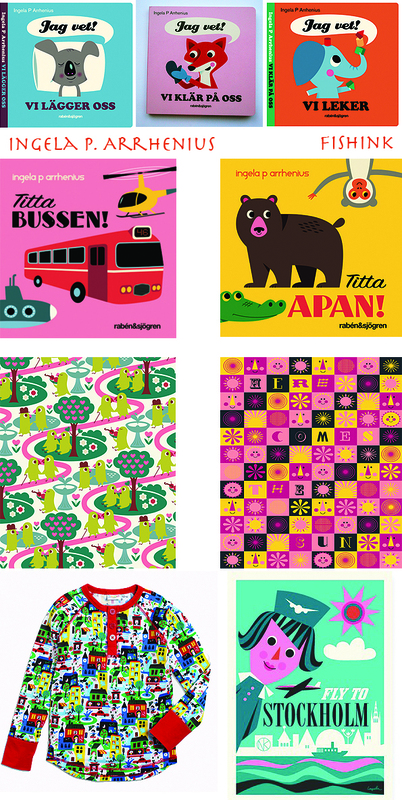 I really like her colour palette, clean lines and just look at these mug designs … I feel Stockholm is calling me !! I caught up with Ingela and fired a couple of quick questions her way that she was kind enough to answer for us. Could describe a typical day when you’re at work ? How do you decide what to draw each day when you’re not working to a specific brief. 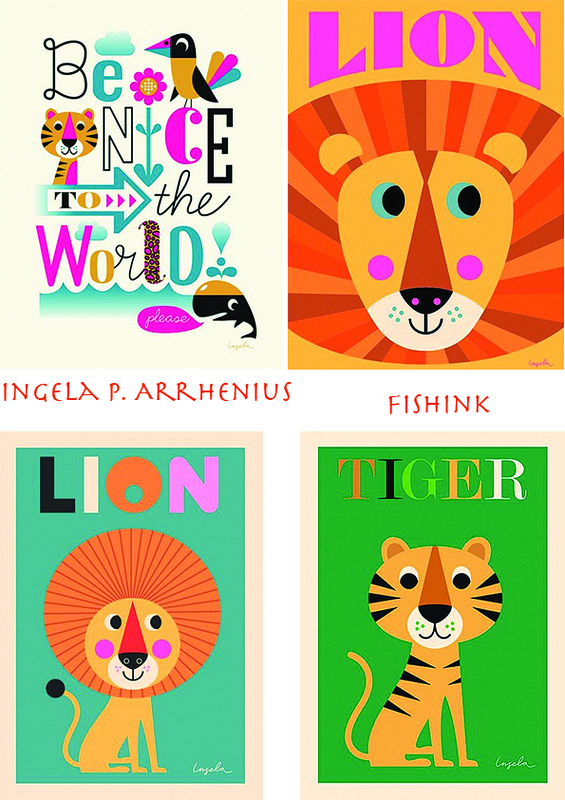 Do you have a list of animals to add to your ‘illustrative zoo ‘ ? I have a lot of assignments so I do work with briefs every day. But the briefs can be very free ; like create a pattern for a wallpaper. Do you work from sketches or go straight into Photoshop or Illustrator and create in there ? If you’re doing a new design do you create it at a certain size or resolution, even if you don’t then know what the end use maybe for ? I often do a sketch first, but very rough, so rough that only I understand it. I often know what my images shall be used for. That is important to know; if it is for a stamp I work with less details than if it is for a big poster of course. Where would you like your artwork to travel to next ? any aims or ambitions for the future ? I would like them to travel to more ceramics: figurines, bowls, jars etc. 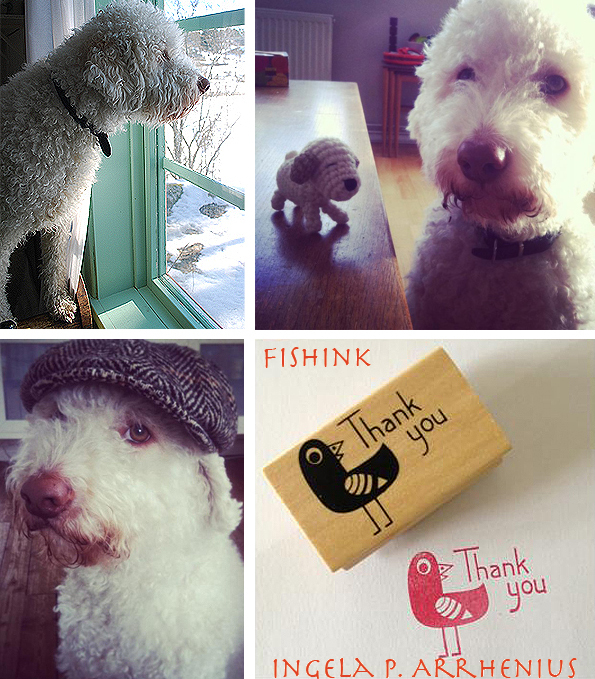 Even Ingelas’ dog ‘Primus’ tries to steal the show on her blog, and with such competition who can blame him trying. Love the cap. 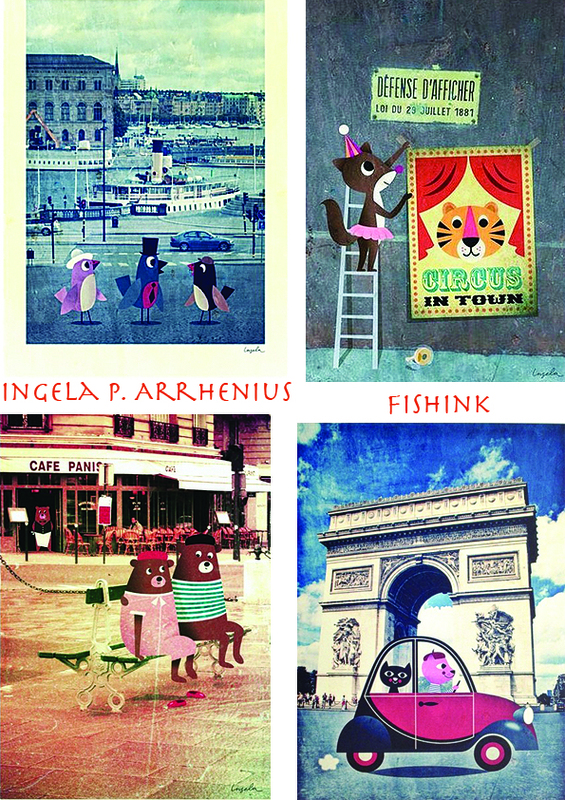 Thanks again Ingela for sharing some time with us and letting us see your wealth of amazing illustration. Thanks Allyn. I like the characters mixed with the photography too, something I played around with a few years ago. I love the curve of her lines and colours the most. Get yourself to Stockholm- you will love it. This post really cheered up a grey morning- lovely stuff! Glad you were cheered by this. Yes Stockholm would be great, just a small question of money or rather the lack of it, otherwise I’d be there in a shot. Looks amazing.